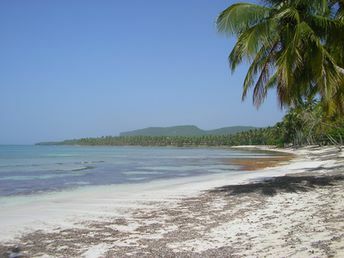 This beach ranks #3 of the "Best beaches in Dominican Republic"
The city has several hotels for every taste and budget. Some of them are not presented in booking systems, and you can easily find room on arrival (except for the peak dates). Fly to Santo Domingo airport or to Puerto Plata airport. Get by bus to Samana town, and next by gua-gua shuttle bus to Las Galeras. Winter is a high season here, because this period there is no rains and hurricanes. But summer featured by warm water and lack of crowds.